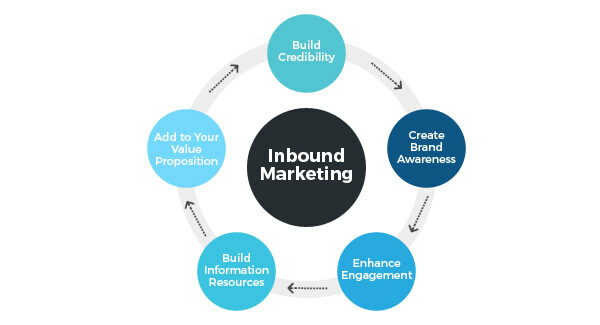 It has been more than a year since we started highlighting the benefits of inbound marketing. Globally inbound marketing has seen the highest increase in budget spending and focus. In South Africa we are seeing variable applications of inbound marketing; if you are not looking at this seriously you are falling behind on your positioning as a brand and company. Inbound marketing – for those who don’t know – are methods you can apply to draw traffic to your site. This is done via content marketing and is underscored by your social media channels, newsletters and search engine optimisation. Here are 5 reasons why you should be taking inbound marketing serious. The key feature that sets a site apart from its competitors are whether it is an information resource, we have learned the benefit of this from search engine optimisation. The more credible and informative you seem to be; the greater the rewards in terms of traffic and your search engine listing. Building your credibility on-line also increase your trustworthiness which in return adds to the traffic to your site, which in turn leads to more sales. As highlighted above marketable reusable content not only allows you to utilise them across social media networks but also enhances your search engine rankings. When your site is found at the top of a Google search return your brand is being seen by a lot more people. This encourages interaction and those all-important enquiries and sales. As with email marketing the idea of all other inbound marketing efforts are to remind your customers of your value add. You inform and draw them back to your site and in turn showcase your products and services to them in a new way. Opening opportunities to enhance your service offering and build your relationship. Inbound marketing efforts should be a continued stream of propositions and value add. You should not be spamming your market but you should be positioning your company in a variety of ways to ensure interaction. A steady stream of informative updates to your clients and prospective clients will go a long way in building your credibility as an information resource. Apart from the obvious benefit to your search engine optimisation, you also position your company and brand as a market leader. This in turn will lead to repeat visitors to your site. Providing continued updates to your market add value to your services and product offering. It should highlight your features, benefits and results, thus ensuring that your company become a valuable information resource. A preferred partner and a clear source of the latest trends and features of your industry. Your inbound marketing strategy bolsters your reputation. Add value to your position in the marketplace and in the long run, allow you to become the preferred partner and market leader in your industry. Focusing on your niche offering and unique value proposition allows even the smallest of companies to become a player online. Having a clear content strategy which add value to your customers and prospective customers is maybe the best investment your company can make. The key aim of inbound marketing is create usable sharable content. To do this your content strategy become key. Identify your clients and your audience. This will allow you to tailor your message to your target market. Highlight your passions and what set you apart from your competitors. What would your content concepts be? What are the relevant buzzwords and topics be within your industry? Identify what your goals are for your content strategy? Your goals will dictate what your message would be to your target market. Educational content should be informative, well researched and meaningful. Topical updates needs to be related to something newsworthy and trending. Self-interest updates should focus on ensuring your content has a strong personal identity. Storytelling or case studies should connect with real live concepts. You should connect your message with a number of other concepts. Adding a fresh spin to your content will provide a new way of looking at existing or unrelated concepts. 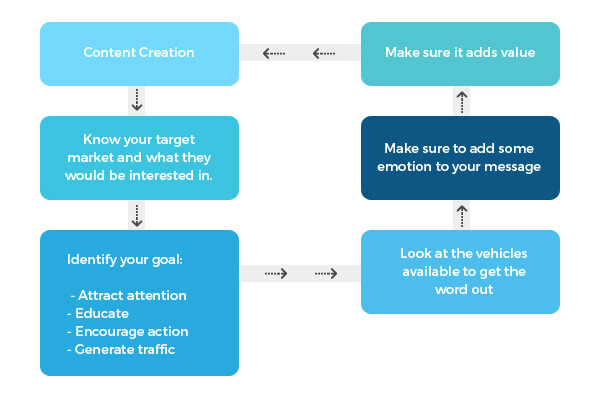 Make sure to add emotion to your content this will add an additional interest to your content and make the human connection so much easier to achieve. All content should add value. It should either provide in a need, fulfill a want or add enjoyment. Content has and will always be king, finding new ways to connect and interact with your market is where your strategy should be adding value.